Situated only 40m from Kamari beach and with a restaurant next door, bars and supermarkets only 200m away this is the ideal location for those wanting to be close to the beach and centre but yet away from the noise. 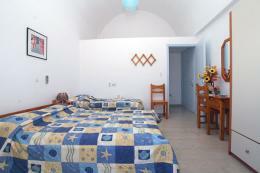 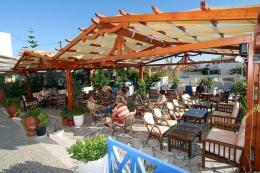 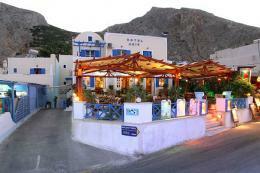 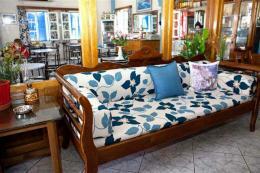 The hotel recently built in typical Santorinian style is comfortable and kept clean by the friendly owners. 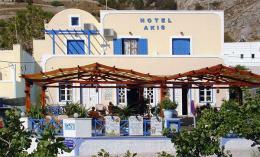 The Akis hotel also boasts a large yard on the first floor where you will find a cafeteria and cocktail bar for many refreshing drinks after a day spent on the beach or by the pool. 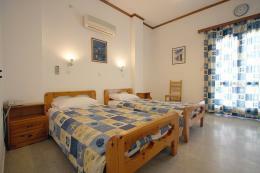 The complex consists of 2 separate buildings with 34 rooms in total and opposite the hotel you can have free use of the swimming pool, beds & umbrellas.